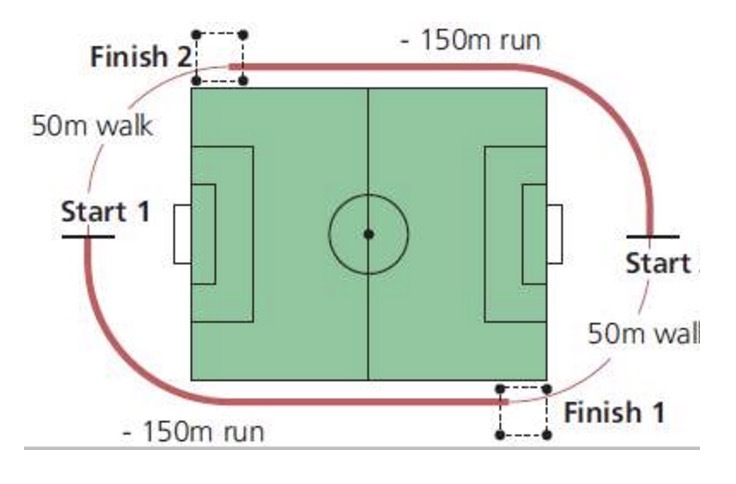 A lap consists of two 150 meter runs with two 50 meter recovery walks. Starts with running 150 meters in the prescribed time. Followed by walking 50 meters in the prescribed time. This process is repeated to complete one lap. Walking area is marked by cones 3 meters on each side of the 150 meter marks. If a participant fails to reach the walking area in the prescribed time, they are issued a warning. 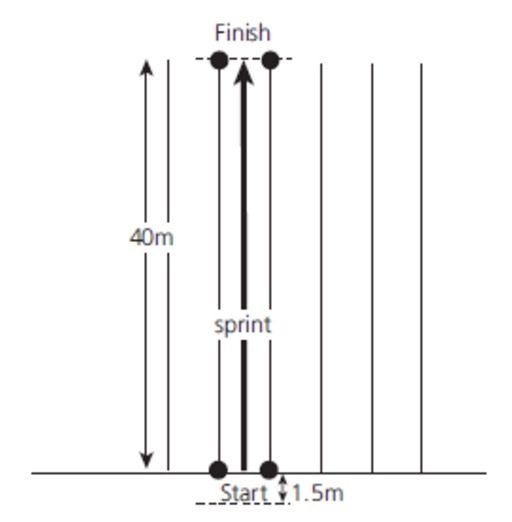 If a participant fails to reach the walking area for a second time, they fail the test.